The Computer Science Department prepares a diverse population of students for careers in the computer field. We also prepare students from other departments and the community to use computers effectively. In that preparation, we focus on critical thinking, problem solving, effective use of a variety of resources, and a desire for life-long learning. This is accomplished through a wide variety of classes and workshops. We offer a number of computer courses here at CCC, ranging from entry-level to advanced programming and networking classes. For detailed information about the computer science programs available to students that are interested in the computer/technology field, visit the Programs page or contact Debra Carino, Faculty Advisor. 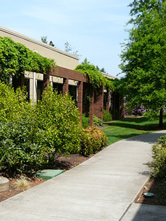 Copyright 2009 Clackamas Community College; All Rights Reserved.